Sure, older malls are closing in cities across the country. And yes, retail chains that have been around for many years have shuttered stores in an effort to get out of the red and compete in today’s market. Physical stores still and will continue to appeal to consumers. For a number of industries, the ability to shop for a product in person is important. You can order clothing online, but for many shoppers, it’s hard to replace the experience of seeing and trying on apparel in person. Retail is continually evolving because consumers are too. The businesses that ignore this are the ones that struggle the most. Who would have thought a few years ago that people could buy groceries online (or order online and pick up in person)? People today seek a more convenient shopping experience. Shoppers change their preferences often. And retailers that adjust and anticipate are the ones we’re seeing succeed today. Those that don’t, well, we’ve seen what happens. Retailers like The Limited took too long to adjust to changing customer tastes. J.C. Penney didn’t act quickly enough as their target buyer aged out of the market. Next trend: online retailers opening physical stores. Earlier this month, Chicago Tribune wrote about online retailers that are opening bricks-and-mortar stores in various neighborhoods in Chicago. Warby Parker, an online eyewear company that started in 2010, was described by CNBC as the e-tailer that “spearheaded the trend of e-commerce companies opening bricks-and-mortar stores.” It now is approaching 100 retail locations. Allbirds, an online shoe store, opened stores for customers to try on shoes in San Francisco in 2017, in New York’s SoHo neighborhood in September 2018, and in London in October 2018. A Chicago store is coming in 2019. Koio, an Italian shoemaker that started online in 2014, now has four physical stores in New York (one a pop-up store), Los Angeles, and Chicago. Opening a store after online success…why bother? To boost their brand. When a company finds success selling their products exclusively online, they might find that opening a physical location (which they now have the capital to afford) will help them differentiate themselves even more. When it comes to establishing brand presence and visibility, there’s no replacement for having a physical store. It truly does bring your brand to life. To offer an exceptional customer experience. Warby Parker already had a good thing going when they decided to open their first store location in 2013. But the company had learned a great deal about its customers and their needs in their three years in business, which prompted the decision. Sometimes, there’s a great opportunity to enhance the customer buying experience—and grow sales—by blending e-commerce and bricks-and-mortar. To improve distribution and cut costs. For some e-tailers, physical locations can double as distribution centers, saving inventory management costs and streamlining the sales process. Amazon is a great example, with their plans to expand Amazon Prime services by combining Whole Foods stores with small distribution centers. So, what does all this mean? As we’ve said before, retail as an industry is changing. It might not make sense for online retailers to open store locations, just as it might not make sense for brick-and-mortar businesses to expand their online presence. The important lesson here is to know your customers. Pay attention to their behaviors and needs and respond accordingly. And remember this: success in the retail space is about giving customers the buying experience they demand. For your business, digital might or might not play a big part of that. But never assume that the way you’ve always done business is the best way. Your competition is fierce and the way shoppers shop is vastly different than five or 10 years ago. 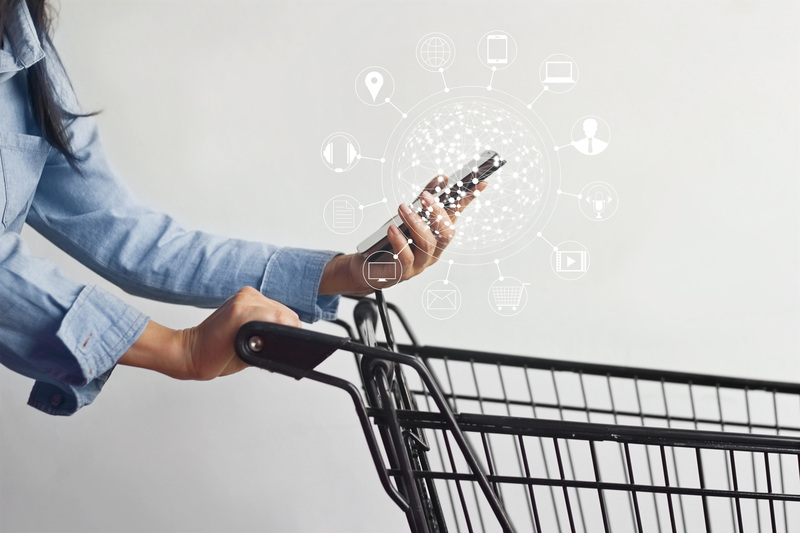 It’s important that you adjust as needed to in the interconnected, omnichannel retail world in which you’re operating. If you’re a retailer, contact SiteSeer for help deciding whether opening new locations makes sense for your business in 2019. If you’re a broker or developer, we can help you identify the very best tenants for your retail spaces in the digital retail era of today.